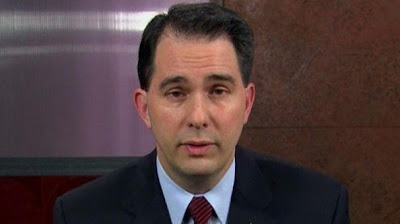 Look who also has Walker fatigue. Former WEDC CEO Paul Jadin becomes the 4th top Walker official to jump ship. "Governor Walker has consistently eschewed sound management practices in favor of schemes or coverup and has routinely put his future ahead of the state." the letter states. "The result is micromanagement, manipulation and mischief. We have all been witness to more than our share of this." * His failed 250,000 jobs promise. * Which led directly to his unpopular, excrescently-expensive Foxconn Hail Mary. * His failed, wasteful run for President, highlighting his disinterest in serving the people while underscoring a fundamental absence of preparation that threw into doubt his qualifications to lead any large enterprise. * And he launched that campaign despite a late 2014 campaign statement about his intending to serve out a second term, thus underscoring established questions about his truthfulness. As PolitiFact put it, He stayed, but only after trying to leave. * And which served to reinforce or presage his multiple evasions or flat-out lies, ranging from having turned the Milwaukee County Executive's office into an arm of his 2012 campaign to having received secret donations he directed to a group supporting his 2012 recall campaign to finally admitting to having rewriting the Wisconsin Idea in the budget - - despite denials. Evers offers depth, trust. Walker does not. This is unprecedented in State history. No elected executive, certainly never a governor, has ever had for top cronies resign from their political appointments. And that's what these four people were, political cronies and allies for Scott Walker. While I am glad they are telling the truth now, these four people were entirely behind Scott Walker and should have known what they were getting into. These people are not heroes, nor are they good public servants. The fact of the matter is that they accepted political appointments and thought they would be part of Scott Walker's radical right-wing agenda. The truth is that they became toadies and yes men for a divisive and wreckless politician who doesn't give a damn about them or the state of Wisconsin. Better late than never, but even smarter would have been to realize who Scott Walker was before agreeing to becoming one of his divisive partisan hacks. Scott Walker has a solid track record of screwing the public, wasting taxpayer money, and grandstanding for his own political gain. Shame on these four for carrying Scott Walker's water for years. Maybe coming out and telling the truth now will make a difference. But maybe not. Scott Walker will do whatever it takes by hook or crook to get a third term, because his National political Ambitions demanded. Wisconsin has non-transparent unverifiable vote systems election systems,. They've been hacked before, but we are told no one knows to what extent. Expect another narrow Walker victory. Marquette Law Poll knows this, and that's why they have moved their data to Walker up by 1%. Everyone that wants to see change, whether you believe in everything Tony Evers stands for, needs to get out and vote. If it is at all close, Walker wins. Turnout matters, just like it did in 2016. So sad for him. I only hope the constant barrage of negative advertising paid by out of state groups doesnt overshadow the truth that Scott is a crazed despotic ruler who hears the voice of God.